Published May 2015 by NETCOMICS. 2nd Edition - Volume 1 - 1st printing. Story and art by Baek Hye-Kyoung. Eunyu lives the life of a modern-day princess. She grew up famous as a child model. All the boys love her. All the girls hate her. Day after day, money and opportunity knocks on her door begging to be allowed inside. 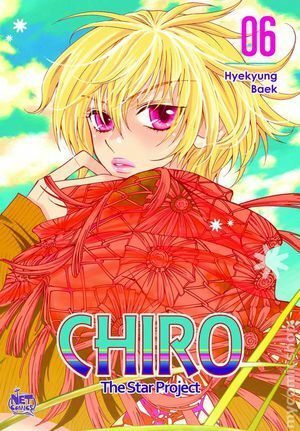 Then, one day, she falls in love with an ordinary honor student Chankyung. At the same time, Eunyu's alluring face draws the obsessive attention of popular teen icon Inan. Inan desires Eunyu no matter the cost. One boy has the world on a string. The other boy has Eunyu. Only one will win. Softcover, 5-in. x 7-in., 204 pages, B&W. Cover price $11.99. Published Jul 2015 by NETCOMICS. 2nd Edition - Volume 2 - 1st printing. By accident, Eunyo burns down the house Inan inherited. They make a deal where Eunyo agrees to dress up like a man and work with Inan as a singing duo. Softcover, 5-in. x 7-in., 192 pages, B&W. Cover price $11.99. Published Oct 2015 by NETCOMICS. 2nd Edition - Volume 3 - 1st printing. To Inan's surprise, Chiro's rising star threatens to eclipse his own. 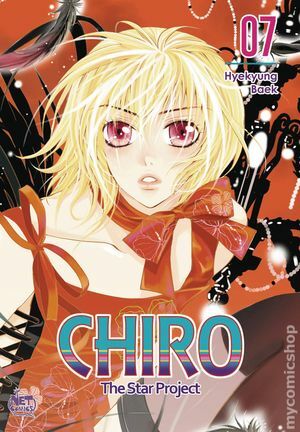 Meanwhile, a scandalous singer Ami introduces Chiro to the seedy world of the music industry. Published Feb 2016 by NETCOMICS. 2nd Edition - Volume 4 - 1st printing. 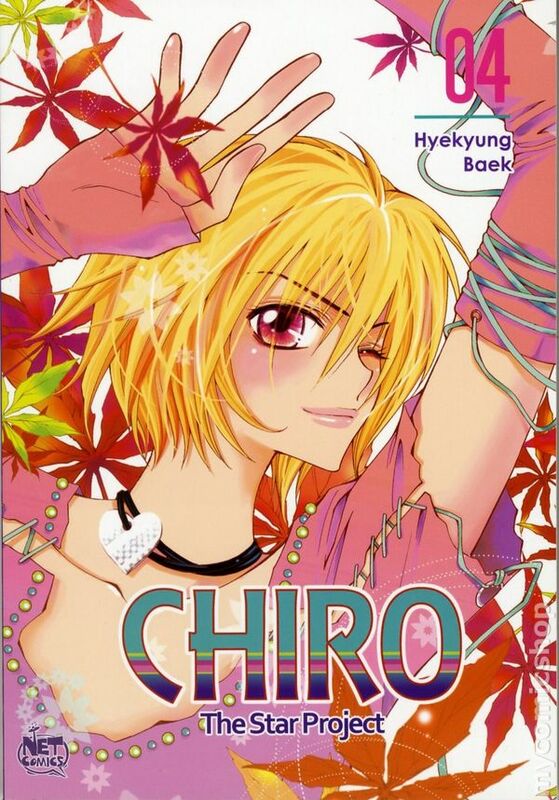 Chiro's star begins to rise in the movie and TV world. Yet, unknown to all, a hidden enemy approaches and keeps watch over Eunyo and Inan. This enemy is patient and knows Chiro's secret. Even worse, an insidious trap is being prepared for them both. Softcover, 5-in. x 7-in., 184 pages, B&W. Cover price $11.99. Published Jun 2016 by NETCOMICS. Volume 5 - 1st printing. Chiro's fame unexpectedly skyrockets after the release of a new movie. The rookie celebrity's star shines so brightly that it even threatens Inan's career. Meanwhile, Inan's mortal childhood enemy Soo Hyun strikes his first blow against the duo. He initiates his extensive plans to take over the Korean entertainment industry. However, Chiro might enjoy a secret ally in the mysterious voice coach Dr. Ko. Unknown to everyone, a new player enters the entertainment biz. Chan Kyung takes his first baby steps towards becoming a pop singer himself. Published Dec 2016 by NETCOMICS. Volume 6 - 1st printing. Chankyung begs former pop superstar Bloody Q to train him in the art of singing. Unfortunately, vicious loan sharks are after Bloody Q. Singing lessons may cost Chankyung more than money. They may cost him his life. Meanwhile, Chiro fends off the lusty advances of Ami while struggling to keep up with Inan's brutal performance schedule. Yet, Chiro still yearns to return home and waits for the right moment to escape. 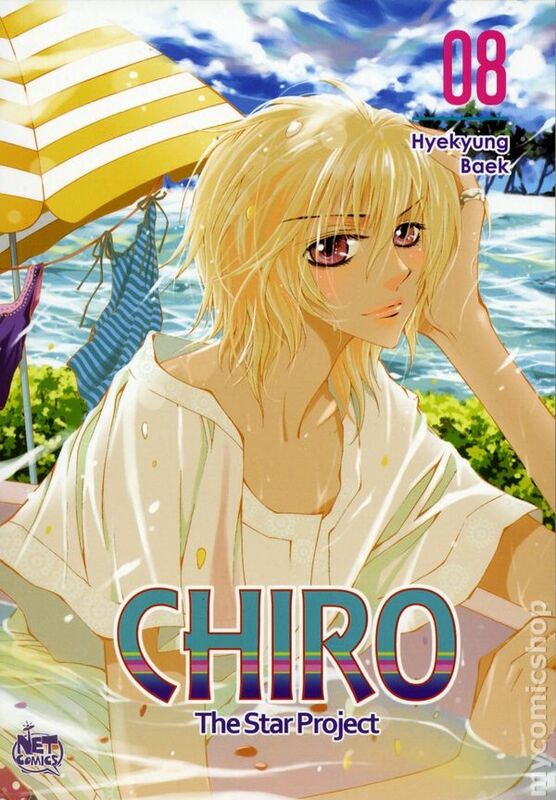 Finally, Dr. Ko sets in motion a plan to trap them all, a plan that involves Chiro. But first, he must destroy his half-brother Soohyun and seize control of the family business. 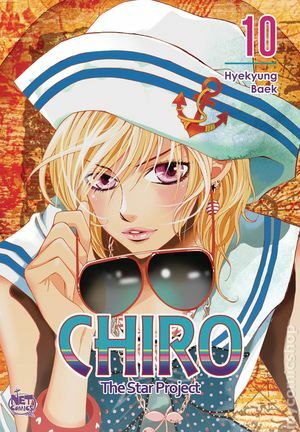 Volume 7 - 1st printing. 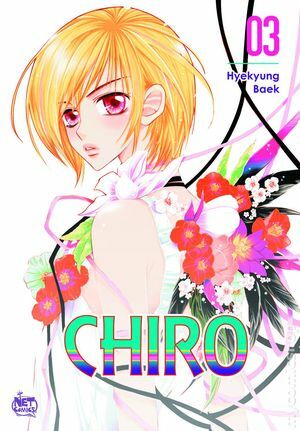 Dr. Ko seizes control of his younger brother's entertainment empire, and he has diabolical plans for Chiro's and Inan's careers. Meanwhile, Chiro struggles with skyrocketing stardom. Strangers become disturbingly obsessed with him. The paparazzi harass him trying to take scandalous photos. 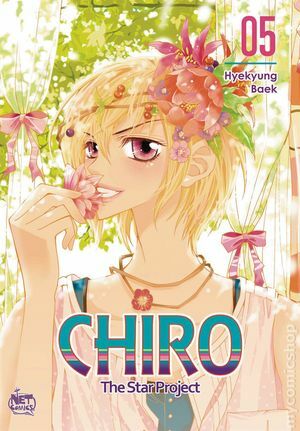 And then, Hyunjoo grows dangerously close to the truth, that Chiro might actually be Eunyo, her best friend from school. But, Inan is determined to do anything to protect their secret, maybe even kill. Softcover, 5-in. x 7-in., 176 pages, B&W. Cover price $11.99. Volume 8 - 1st printing. Dr. Ko gains control over his brother's business and brings in a very important asset, after exposing Inan and forcing him to retire from the public eye. Later, he plans a national contest, where he invites the biggest stars from the entertainment business to challenge Chiro. Will Chiro's position be affected? Could this be Inan's chance for a comeback? Published Mar 2018 by NETCOMICS. Volume 9 - 1st printing. 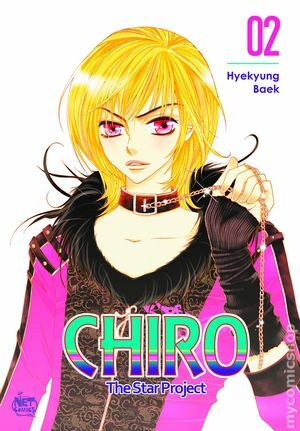 Bloody Q replaces himself with Chankyung as the vocal for his band, and Chankyung gives unforgettable performance at the competition to challenge Chiro. 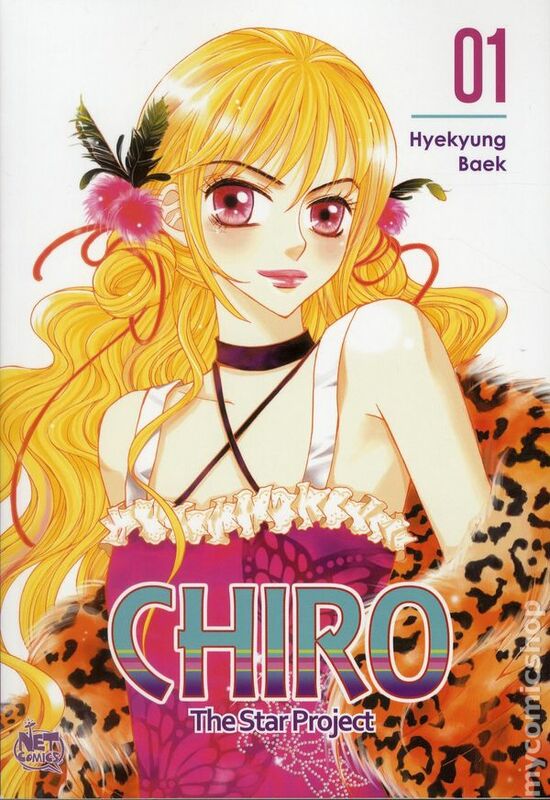 Meanwhile, Chiro plans to go back to her own self as Eunyo once the competition is over. Published May 2018 by NETCOMICS. Volume 10 - 1st printing. The final round of the contest begins and everyone is working hard to win. 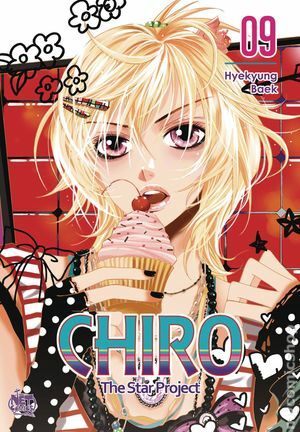 Chankyung asks Chiro for featuring on his latest and greatest song and Chiro happily accepts the invitation. Somehow the record track gets destroyed, and the culprit is found to be Inan. Everyone thinks Inan was jealous of Chankyung getting more and more close to Chiro but he hides his true motives at the risk of being disqualified as a contestant.